Many people feel the presence of a deceased loved one in nature - like a cardinal singing in a nearby tree. The cardinal represents their loved one sending them a sign that they will be with them always. Let this sweet poem of the deceased speaking to his or her loved ones give them comfort. This sympathy gift will become a lasting keepsake to someone who has lost a husband, wife, father, mother, grandparent, sister, brother, daughter, son, uncle, aunt... Also appropriate as a gift for an anniversary of his or her death or birthday. 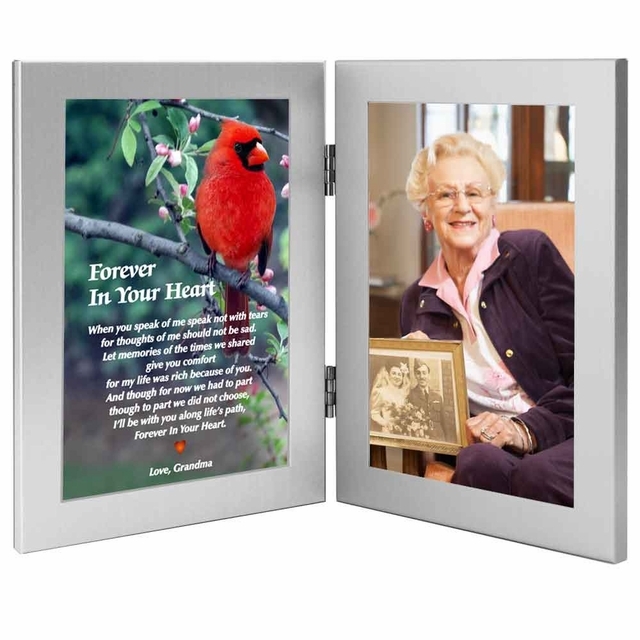 The left frame holds a sentimental poem in a red cardinal design for the family that has lost a loved one and the right frame will have a "Place Photo Here" sign for a photo to be added after delivery. 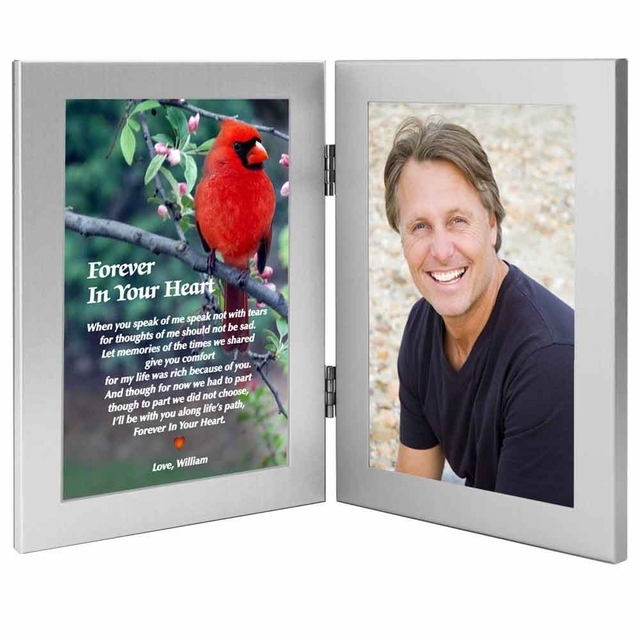 Two 4x6 inch frames combine to a double frame combination with outside measurements 7x10 inches - brushed silver metal frames with black velour backing - tabletop display - The gift is personalized by inserting in the right frame a standard 4x6 photo or part of any larger photo after delivery. for thoughts of me should not be sad. for my life was rich because of you.